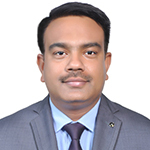 Ajay Tewari, Chief Executive Officer, earned his B.Tech HND from Marine safety Agency UK and Bachelor of Nautical Sciences from Bombay University, India. As an alumnus of T.S.Rajendra, he has served international shipping companies for 11 years before he kick-started his entrepreneurial journey with smartData as it’s co-founder in 1999. He worked in the capacity of VP Operations and initially sales was his forte. He was given the charge of smartData in 2004 as its CEO and under his leadership the organization has grown from 50 employees to more than 850 employees today. He has played a key role in expanding smartData sales, traveling frequently to US, UK, and Australia to meet global clients. His proactive people management and inclusive leadership style make him a favorite amongst his team. Ajay is a very well read person and his command over his subjects is impeccable. 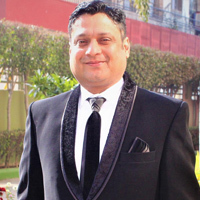 He has also served as the President of TIE Chandigarh Chapter for 2015-16 term and is one of the founding members of the group & regularly mentors budding entrepreneurs. He is an avid sports lover and follows all sports closely – cricket being his favorite. He is an active trekker and has successfully scaled Everest base camp twice, Kanchenjunga base camp & recently Rupin pass to name a few. 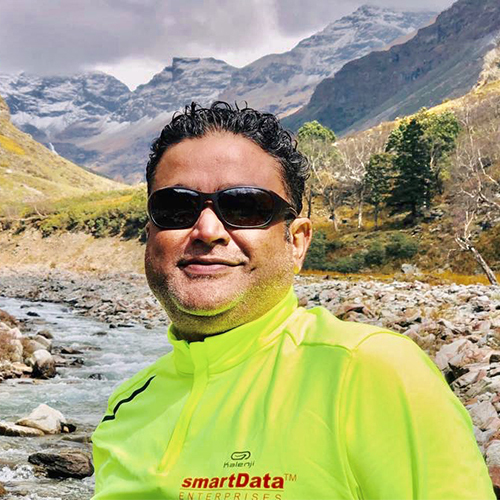 Gurdev has been a member of the smartData Corporate Think-Tank since 2003 and has led several strategic initiatives to drive the definition and realization of the global technology strategy as well as define innovative forward-looking solutions. Working with smartData from last 15 years, he started his career as a Software engineer and has moved up the hierarchy taking different leadership positions and various roles within the organization with proven results. He is currently leading a large RnD group in the position of Vice President Technology. He has a strong visionary skill, supported by technical depth and credibility which has helped create a positive change in how customers perceive smartData’s innovation and the power of our services portfolio. His numerous certifications define his passion for new technological areas. To name a few, he is University Certified MongoDB Developer, Microsoft Certified Solution Developer and Stackoverflow contributor. As much as he keeps himself updated on latest technology trends, he is an ardent and keen sportsman. Vinay Tewari, earned his graduation degree from Lucknow University. He is having around 22 years of experience in the field of Finance, Taxation, Administration, Company Affairs, and Software Licensing & Compliance. His responsibilities include corporate finance, corporate planning, risk management and investor relations. Out of total 22 years of experience, he has over 19+ years of experience in IT industries and during this tenure, he held several leadership positions with smartData. 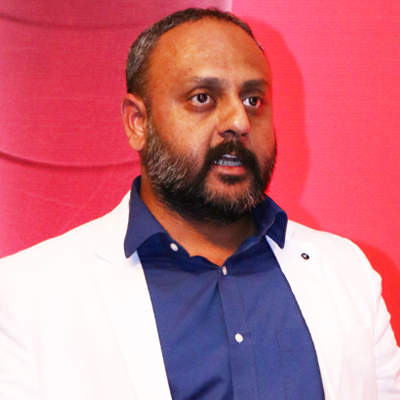 He has been with smartData Enterprises (India) Limited since 1999, and one of the founder member of the company. Currently Mr. Tewari holds the position of VP Finance. He closely works with Board to define the organizational structure and implement global operational strategies, increase revenues and actualize business value. 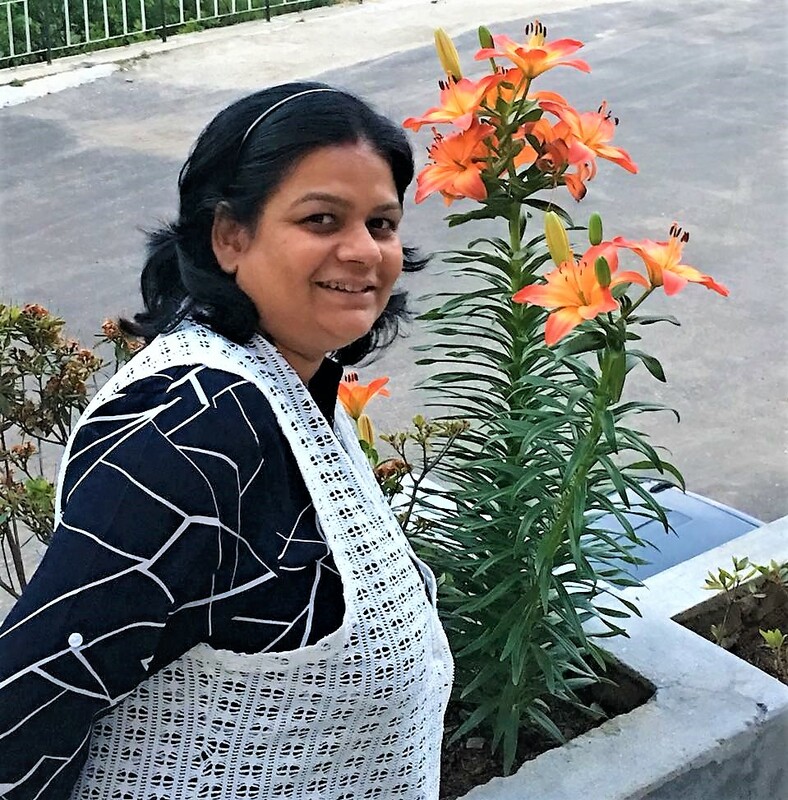 Archana, a core member of Think-Tank from past 19 years, working as VP-Operations. She has done her Bachelors in Science from Lucknow University and Post Graduate diploma in Computers from Delhi. Earlier she worked with smartData Mohali and then moved to Central India. She played a major role to setup Nagpur branch, which is now a leading company in central India with 300+ IT professionals. She loves to travel all over the globe to understand the growing needs of IT, also to understand the culture similarities at different geo-locations. As an independent thinker, she evaluates business requirements easily while taking care of 3C (Commitment, Customer Centricity and Credibility). 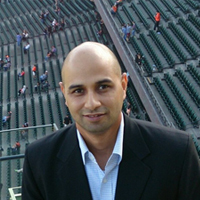 Deepak Sharma, VP Operations, has an extensive exposure in leading large scale teams & operations across geographies. Specialties: Service Operations, Leadership of large Teams and Projects, Relationship Management, Quality & Process Improvement and Training & Development. He has more than 16 years of experience developing high-tech consumer and enterprise applications and is with smartData since 2004. He has played key role at smartData with expansion of Open source domain and Operational processes. He has travelled across US and Australia for strengthening the clientele. His personal and people management skills makes him his team’s favourite. His core strengths are his eye to catch human potential i.e. leadership and ensuring strict quality control through processes. He is excellent with data science and analytical reporting. Deepak earned his Gold medal in Masters in Computer Application from Kamla Nehru Institute of Technology. Apart from his work, he is a modern day sports fan i.e. his brain is always packed with situational information, Football and Cricket being his favourites. He loves to unwind by taking Road trips and has covered more than half the length of India by Road in his Car. Vivek is having 19 years of escalating information technology experience with top-notch blend of innovation, technology, delivery and business experience. His uniquely in-depth understanding of technical complexities and readiness to take over any technical challenge has helped the organization to build a rigid MS technology group of sound developers at all facilities of smartData. He has been always realistic and extremely adept at scaling business operations. As a leader, he has a great virtue of team management skills and proven ability to build, motivate and lead many enterprise-class quality engineering teams. He has been with smartData since 2004 and worked with various positions: Project Manager, Business Unit Head, Delivery Head and Director Operations. Specialties: Lean and Agile Development, Microsoft Technologies, Service Operations, Leadership of large Teams and Projects, Growth strategy of Repeat Business. He has played a major role in stabilizing healthcare MS in Mohali branch and Microsoft array in Nagpur branch. Vivek has done Post Graduate Diploma in Computers from Kurukshetra University. He is also Microsoft Certified Solution Developer and certified Scrum Master. Apart from being a tech professional, he is also an avid trekker/sports lover. 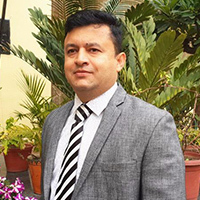 Rakesh Kumar Pant, Vice President Operations, is bachelor of science in physics and chemistry from university of Lucknow, has also earned his Master’s in computer applications from technical university Uttar Pradesh. He joined smartData in year 2005 as a software engineer and since then have played various roles in organisation including team leader, system analyst, business unit head, director operations. He has also been instrumental in setting up the smartData branch at Dehradun, Uttarakahnd. He has also worked extensively in all three locations of smartData in different capacity as and when needed. His main area of expertise is providing consultation and solutions on the technology by keeping the business strategies in focus. Other than work he likes to read about physics especially relativistic effects and quantum mechanics, his interest also expands to mythology of different cultures and by the way he loves to drive long distances if given a chance.